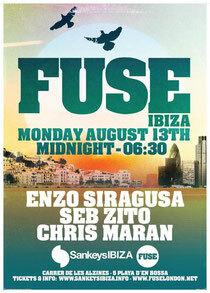 Tomorrow sees London's Fuse party return to Sankeys Ibiza for a four week run of parties. These follow the two events already hosted by Fuse at the Playa D'en Bossa nightclub this summer. Fuse is based around the musical aesthetic found at the hugely popular East-London party thats been running every Sunday for the last four years and the label's core residents. The focal point of these events as always with the Fuse family will be to showcase the unique dub-house sound they have become known for over the years on Sankeys’ sound-system, which played a pivotal part for Fuse in choosing which venue would host their parties on the White Isle this summer. 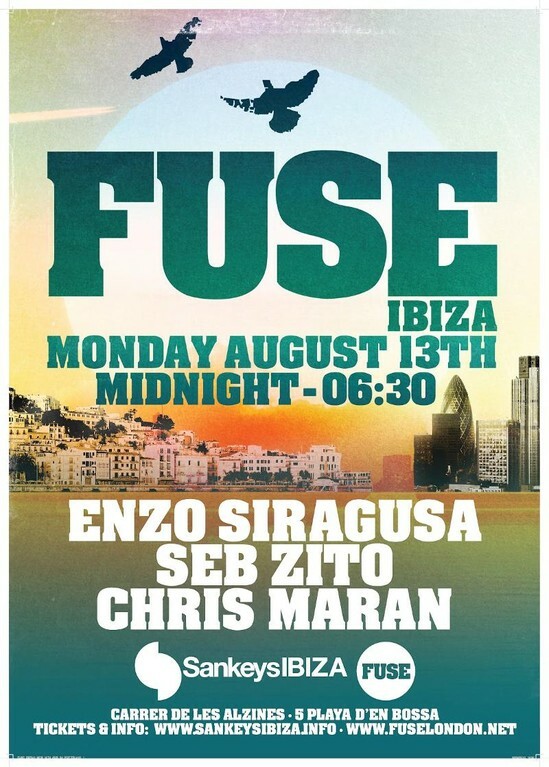 Fuse founder and resident, Enzo Siragusa, has already made regular appearances at Sankeys throughout the summer at Fuse parties and Steve Lawler's Viva Warriors and recently wowed the crowd with a B2B set with tINI at Hawtin's Enter event at Space, Enzo has also provided a remix for Davide Squillace's forthcoming release on his new imprint This & That. Joining Enzo as weekly resident for these four dates will be Seb Zito, a name increasingly cropping up as of late with huge props and chart support on his releases coming from Desolat's first lady tINI.